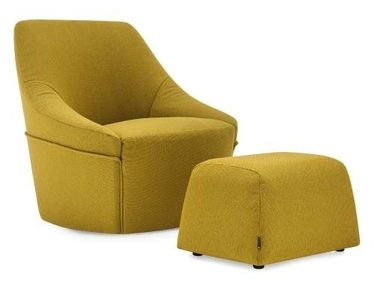 The Alma is a very welcoming shaped armchair with a swivel base. Combining both straight lines and curves, topped with decorative stitching along the entire profile, this smooth design is perfect for relaxing. Available in an assortment of fabrics and leathers.